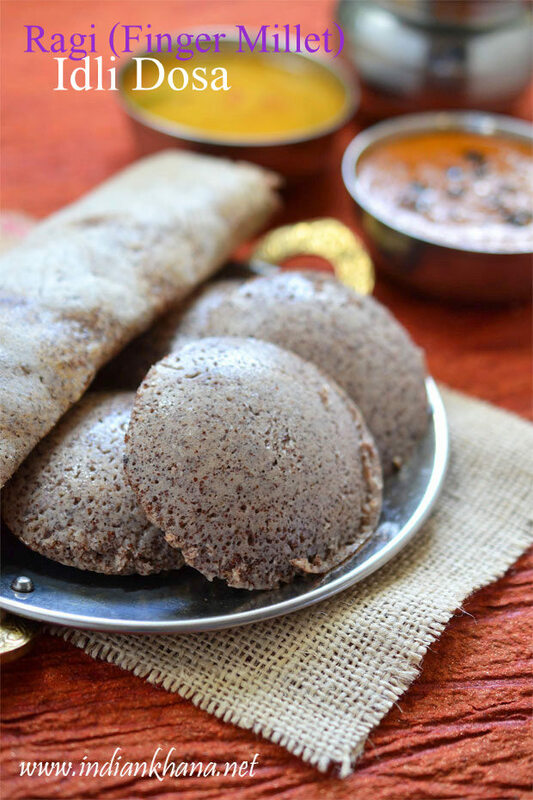 Ragi Idli Dosa, whole ragi idli, dosa, finger millet idli dosa is healthy, vegan, diabetic friendly breakfast recipe and it's also good for weight watchers. 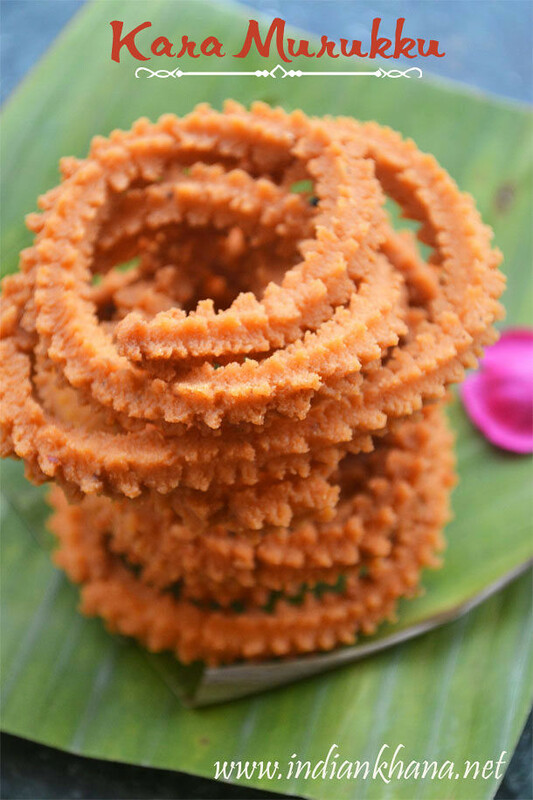 One of the most popular and easy available millets has be ragi also known as finger millet, Nachani in hindi, Ragula in telugu, Ragi in tamil, telugu, kannada, Panji Pullu in malayalam, Nagli in marathi & gujarati, Mandhuka in punjabi, Marwa in bengali and Mandia in oriya. Like all the millets ragi also has multiple benefits like it's high in calcium, protein also have good amount of iron and other minerals. 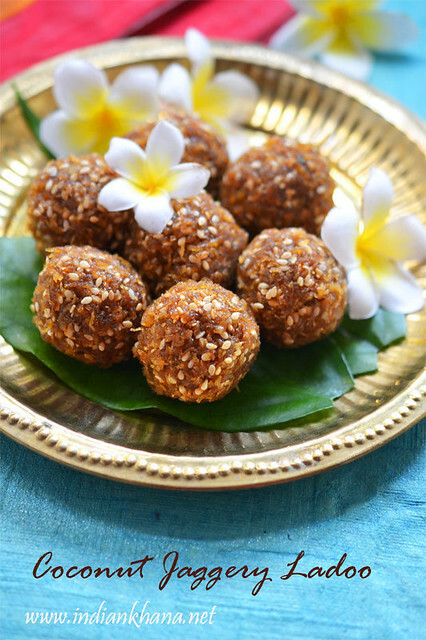 Ragi tops in antioxidant activity among common Indian foods, Ragi also has some good number of Essential Amino Acids (EAA) which are essential for human body. 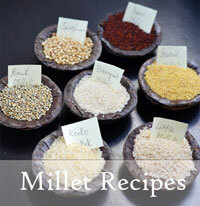 Know more about ragi (finger millet) benefits here. I always keep ragi and ragi flour in stock though it's strange that I haven't posted much recipes with ragi yet. Mostly I make instant dosa with ragi flour and recently I started making ragi idli but normally I use whole ragi to soak and grind like we do with normal rice idli. I normally make ragi idli with only ragi and urad dal to make it gluten-free and rarely add idli or raw rice and this time I added idli rice. If you make ragi idli,dosa without rice it taste good and comes well too the only difference I find is idli will not be fluffy like how it's in these pictures so using only ragi gives slightly flat idli but if you are looking for gluten-free or totally avoiding rice then that won't be a issue, in notes section I have mention how to make ragi idli without rice so read that if you are interested. This ragi idli-dosa is one of those recipe which I have taken pictures multiple times but didn't manage to post until now, there's time for everything is true I believe :) If you look to try something different or healthy then do try this healthy ragi idli-dosa it's also very filling and makes great breakfast, dinner or lunch box recipe. I served this time Garlic Chutney, Sambar and Idli Podi. 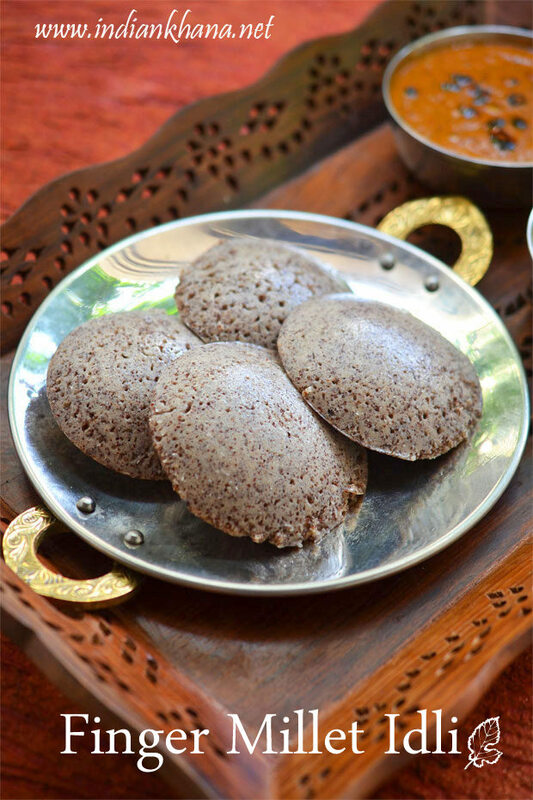 Healthy, vegan idli, dosa with ragi (finger millet). Rinse 4-5 ragi, idli rice and urad dal. Soak ragi, idli rice together and urad dal with fenugreek seeds with ample of water (I normally add water covering 3-4 inches above rice and dal) for 4-6 hours. 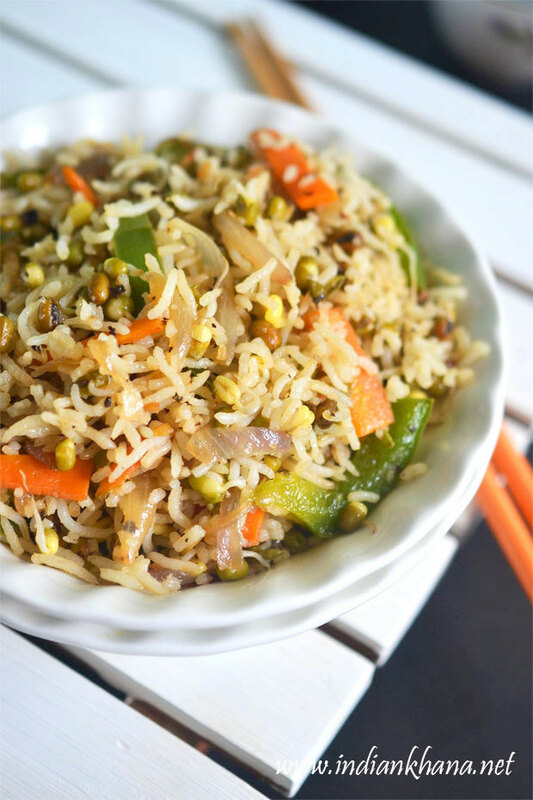 Soaking with enough water ensures dal and rice both gets double in quantity. You can use the same water for grinding. 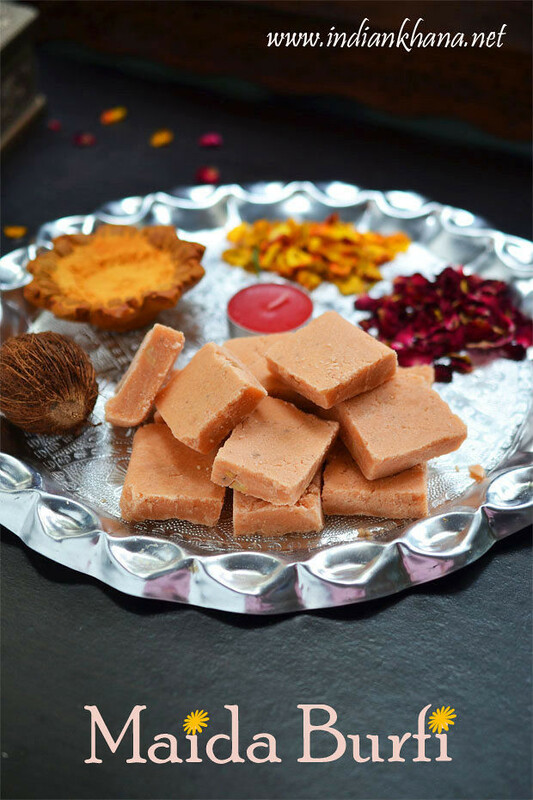 Use large jar to grind batter, in jar add soaked dal and fenugreek seeds add 1/4 cup of water and grind in high speed for 30 secs to a min, add 1/4 - 1/2 cup of water again and grind until smooth, urad dal batter will be soft, fluffy and smooth if grind properly with enough water.. If your mixer start making noise add more water. Transfer batter to a large container that you wish to store batter in. It has to be large as the batter will double after fermentation. Now in the same jar add half of ragi,rice (I normally grind in 2 batches, you can do the same in 3 batches too), 1/2-3/4 cup of water and grind for 2-3 minutes in high speed. After each 30 secs stop the mixie and check if more water is needed. If more water is needed add 1/8 to 1/4 cup of water and grind again. Idli batter will have slight grainy texture (more like texture of super fine semolina). Transfer batter to the container we transfer urad dal batter. Now add remaining ragi & rice and water, grind same like in above step. 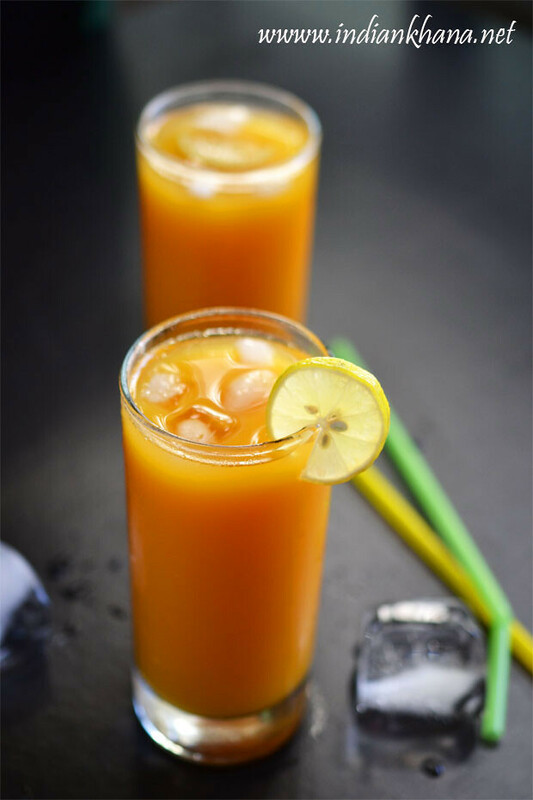 In a small bowl dissolve soda with 2-3 tbsp water, add this water to prepared batter with salt and mix gently to combine everything together, using hand is best option (you can skip soda, generally I add). To make idli, take required amount of batter in another container add salt (if not added before) and stir gently, do not over mix. Grease idli plate with oil well or lay wet cloth or use wet muslin cloth, fill each impression with a ladle ful of batter or until 3/4. 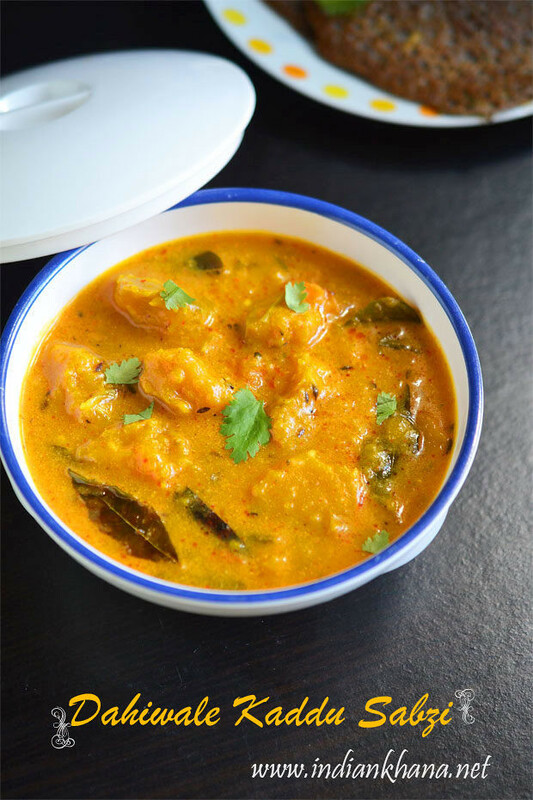 Meanwhile add water in steamer or pressure cooker and let it start to steam, place idli plates stand close steamer or pressure cooker (don't use cooker weight ) and steam for 10-12 minutes. Off flame and allow it to cool, take out the idli stand and sprinkle little water on each plate, use a spoon to scoop out idli. If using cloth then gently invert the cloth to remove idli. 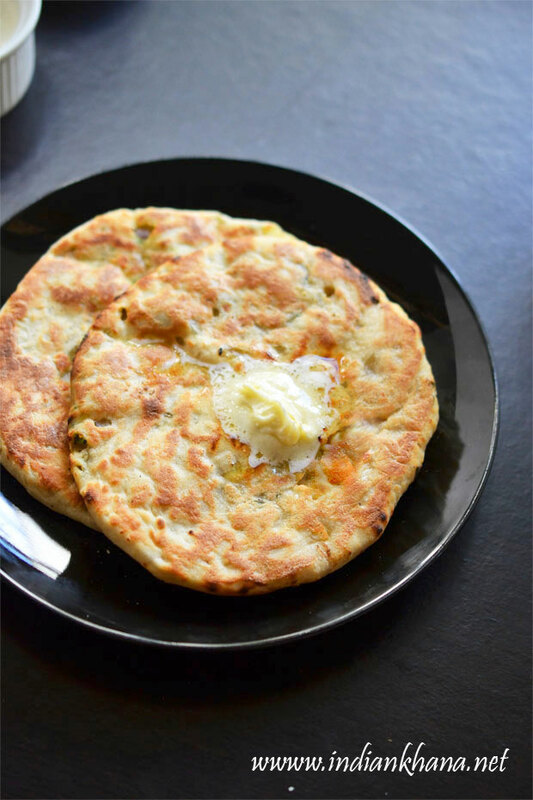 To make Dosa - heat a tawa and pour one full ladle or 1/2 cup batter and rotate in circle to make round dosa. Drizzle oil or ghee in corner of dosa, cook until edges becomes brown and edges starts to leave tawa, carefully flip the dosa and cook for another 30 seconds, repeat same for rest. 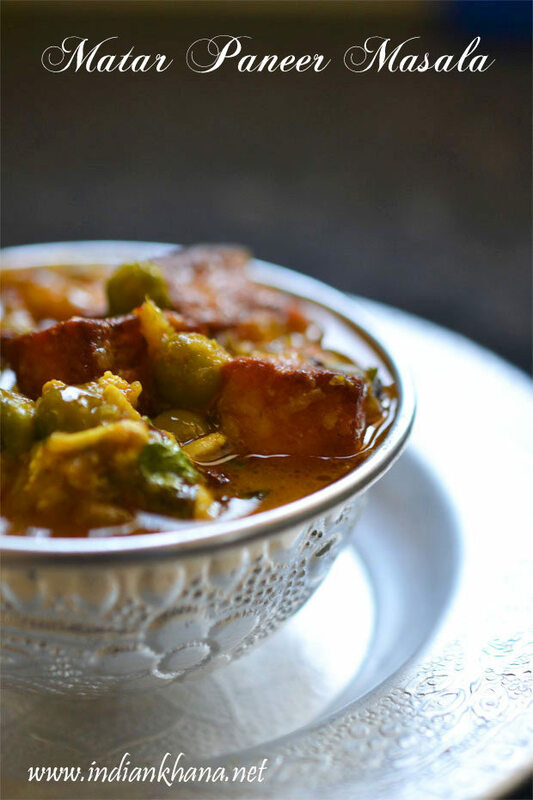 Serve hot or warm with chutney, sambar, idli podi. 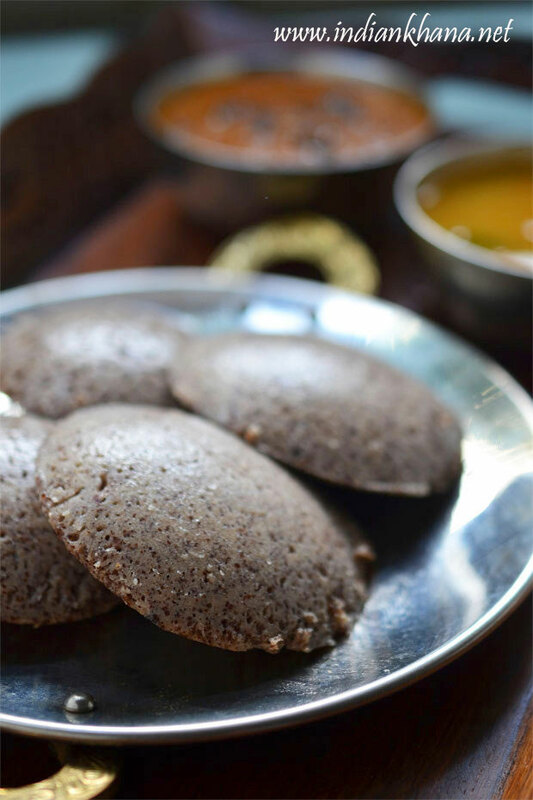 You can make ragi idli without rice for that skip idli rice or raw rice and make this ragi idli with only ragi and urad dal, replace the rice with more of ragi, ratio remains the same but the idli will not be fluffy like what you see in this pictures. 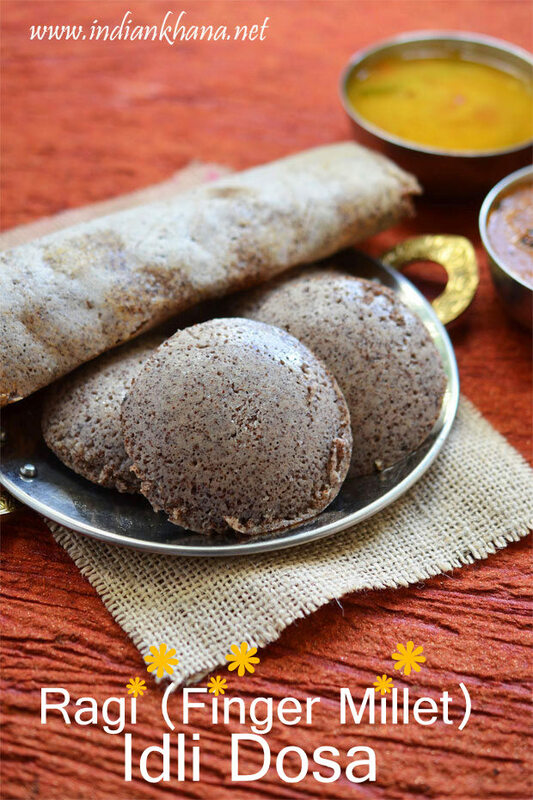 You can also do the same with ragi flour, soak and grind urad dal add 2 cups of ragi flour to 3/4 cup of urad dal, ferment and make idli. 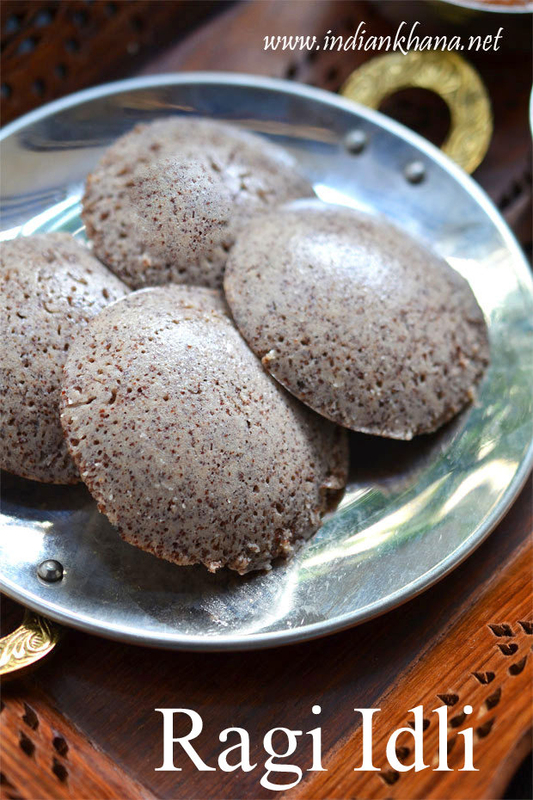 Or you can add ragi flour to normal idli batter and make that as ragi idli too. Water is the most important factor while grinding idli-dosa batter in mixer/mixie. If you add less water idli won't be soft. For more notes refer to my idli dosa in mixer post. 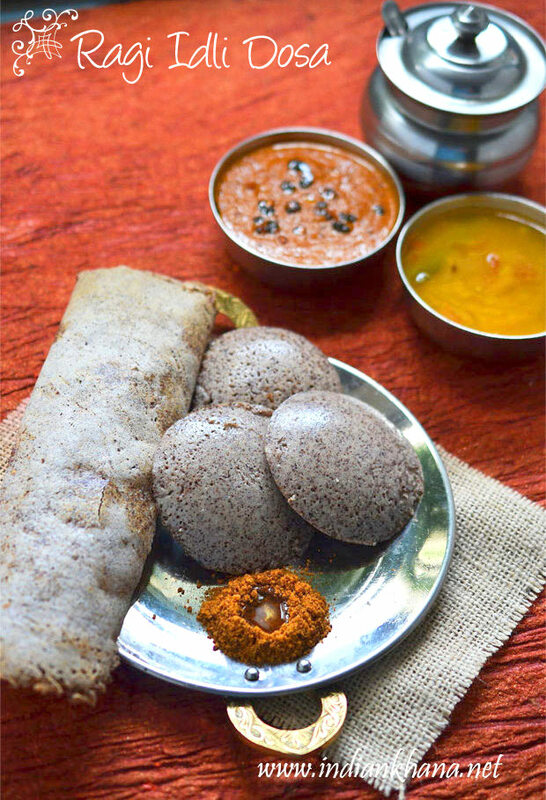 Enjoy the healthy, vegan soft, ragi idli and dosa.